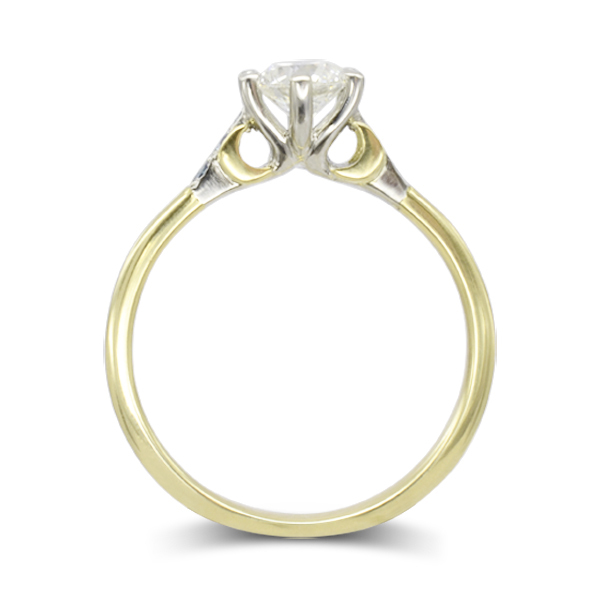 There are now many website offering a service where you can design your own engagement ring. Mostly this involves picking a diamond at the price you want to pay and then selecting from a limited number of precast metalwork shanks in the metal of your choice and having the diamond mounted in it. At Pruden and Smith the process is a little different as we start with the design of the ring and then select the materials to best reflect what you are trying to achieve “the ring that your fiancee will love designed especially for them”. Book a design appointment with one of our designers Rebecca Smith or Suzy Dunford-Gent. What jewellery does your fiancee wear all the time? What jewellery do they comment on or covet? Whats their jewellery style? Vintage, classic, modern, fine, chunky, organic, geometric, colourful, art deco. What colour metal do they like? 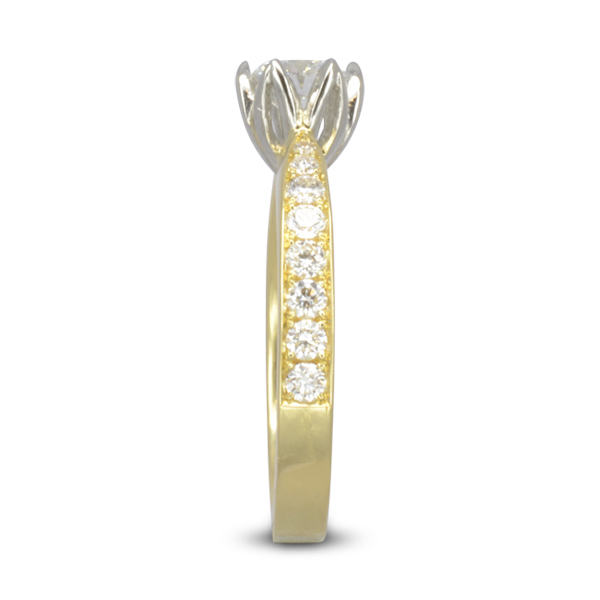 Take a look on our website or search in google images and pick out the rings that come closest to how you imagine you would like your ring to look. 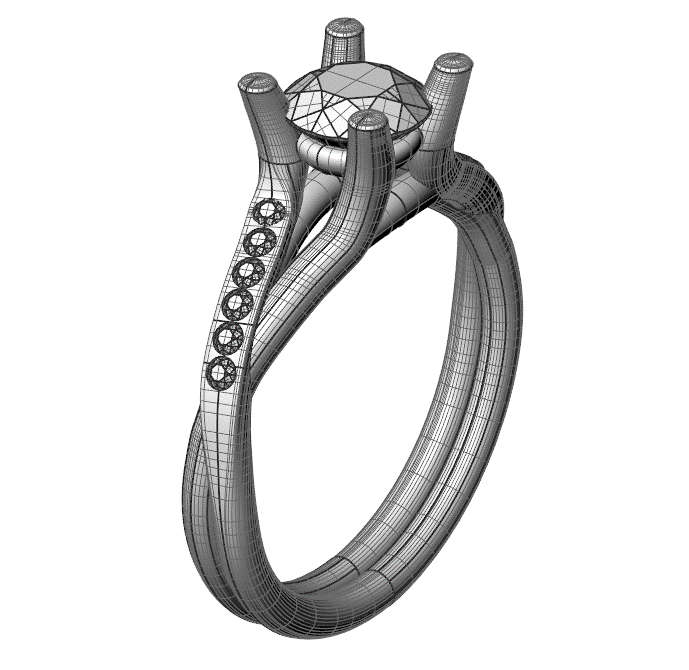 We will do some sketches putting together all these requirements to come up with ring that truly reflects your finances style and agree a budget for the ring. We will often also look at diamond samples and the colour of different metals and gemstones so that you know exactly what you are buying. For example: did you know that most rings bought on the High St are rhodium plated which masks the true colour of the metal? This is temporary and can be worrying as the metal begins to change colour as the plating wears off if you were not aware of it. Sometimes during the design appointment we are not able to get to the point where you feel you can order, perhaps you want time to think about what was discussed. 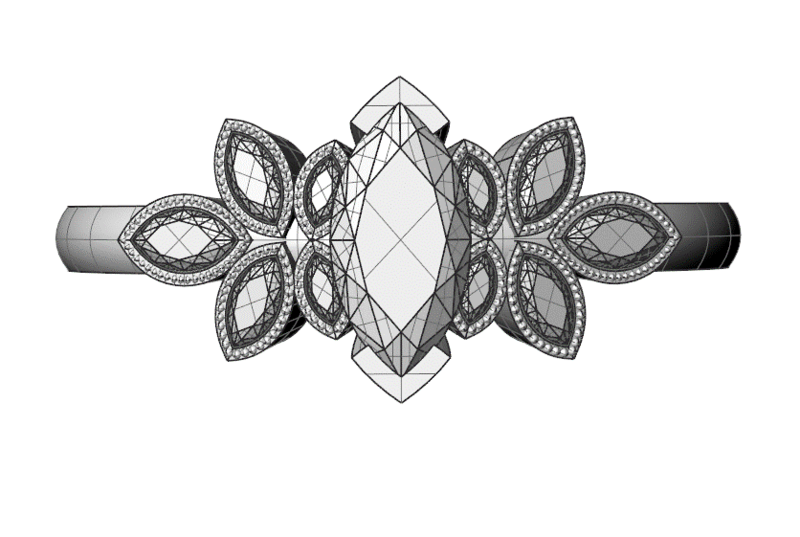 In this case we will make a computer render in colour for you or order in different gemstones and diamonds for you to make your final selection. 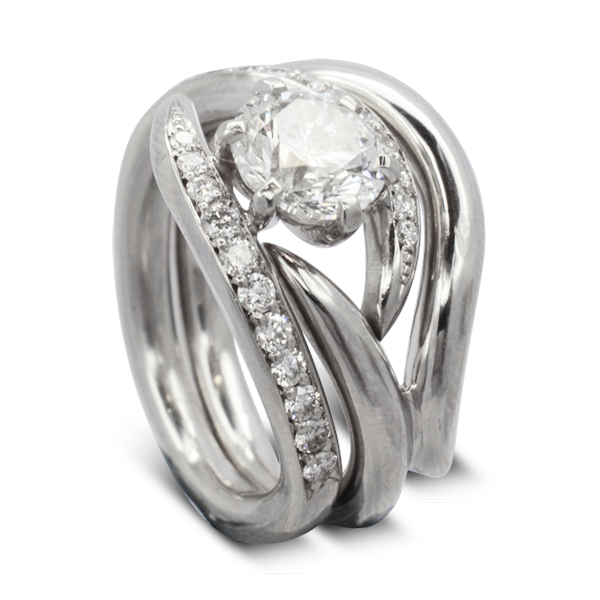 In some cases we will make the ring up in silver and cubic zirconia, especially if the ring is very different from anything in our current collection. Once a design has been decided upon then a 50% deposit is payable with the balance due on collection. We will agree your delivery date at the time your deposit is placed. Please remember to give as much time as possible as handmade rings require a little time for materials to be ordered, to be made up, to go a way to be hallmarked and then to be set and possibly engraved. 4 weeks is the ideal minimum time for this, though we can push things through faster if required.